Request a response from your loved ones with this elegantly decorated card. 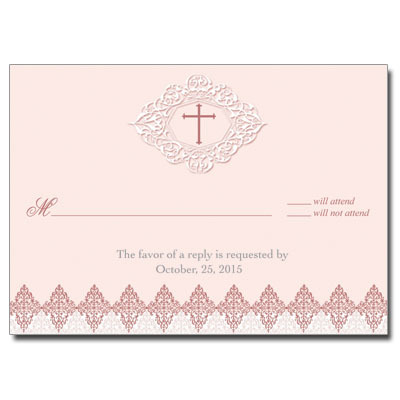 A lace-lake graphic at the top has a faux-embossed look and frames a pink cross. Measures 3.5x5.